Check out Pizza Express's World Pizza Day Promo! 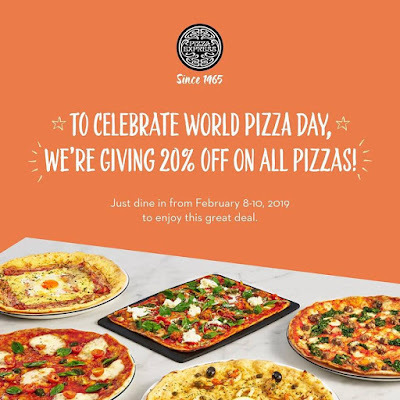 Enjoy a 20% discount on all pizzas from February 8 to February 10, 2019 at Pizza Express Uptown Mall BGC and SM City North EDSA branches. For dine-in transactions only.